This is a testament to all that is good about fishing and anglers. Research showed that Surrey has two streams holding some trout, and the better known is the Tillingbourne at Albury where Peter Cockwill, who has one of the best fishing shops in the UK, gives great advice. But, there is also, another option. The Peper Harow Fly Fishing Club has water near Elsted. Its club house is in the farm yard of a building which recently had been used for a location set for the latest ‘Robin Hood’ movie, starring, Russell Crowe, firmly putting the tiny village of Elsted on the map. I had exchanged correspondence with the Hon Sec., Charles Stuart, and met him at 9 am on a Sunday morning when he apologised for there being so much activity on his beat. He turned out to a retired financier, and is putting all his energies into the club. He was there that day, as part of a fly life and insect investigation (The Millenium Fly Survey); as was an inspector from DEFRA, who was removing the highly invasive American Signal Crayfish, from some twenty traps anchored to the riverbed. He ‘removed’ dozens….“They’re good eating….do you want some?” he asked me ! American crayfish are voracious eaters of absolutely anything, and are also cannibalistic…I declined ! 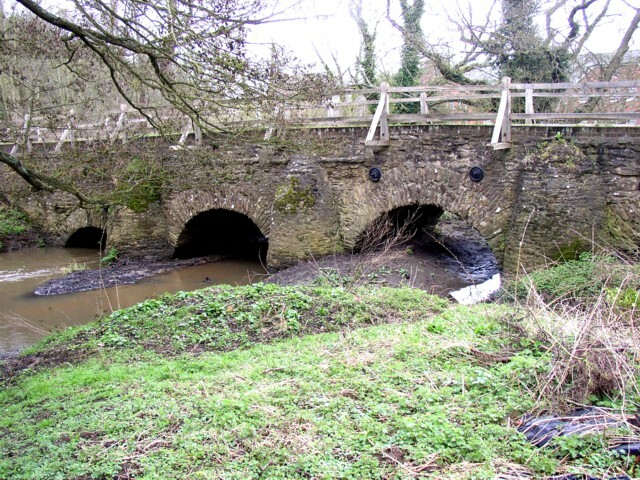 The river is on greensand, and resembles the Wiltshire’ Nadder, another one. It’s good trouty water in parts….swaying bankside grasses for cover, with a few exciting pebble based runs and good weed growth. A sunny day at first, but clouds soon to come, and as soon as I saw a rise I covered it and hooked my first Surrey trout just as Charles and crew approached to witness the feat ! He was so excited for me that later, and back at the hut, he refused a payment for my morning, the rest of which was spent exploring the beat below the old farm bridge, and just looking for fish, but there were few ! And my one, was it, although I did hook and lose a second shortly after my first when the weather was a little brighter. I subsequently wrote to Charles and enclosed a small cheque asking that it be added to club funds to cover the cost of replacing some of the worn out crayfish traps (plastic ‘wears out’ when immersed in water for a long time, I discovered) He graciously replied with the offer to join him on the Findhorn, if ever that far North !